Phonology is something … but it isn’t EVERYTHING! It is a hard-to-believe concept, but it’s true. Words do not have the spellings they have so that we know how to pronounce them. Words like busy, does, piano, action, and pretty prove that. The truth is that words are spelled the way they are to represent their meaning. That’s such a foreign idea to so many. “If that was true, wouldn’t we teach that to children who are just learning to read?” You’d think so, wouldn’t you? 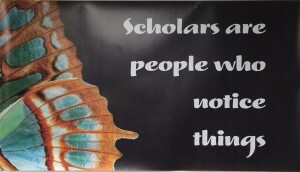 But the majority of schools don’t. So why do we resist believing this obvious truth? When I first began studying orthography and learning Structured Word Inquiry, I was skeptical myself. I wondered what people in this community meant when they said that spelling represented meaning and not pronunciation. How can that be? I learned to spell by “sounding words out” – by pronouncing them. Sometimes I pronounced them in unnatural ways so that I could remember the spelling (Wed – nes – day or ap – pear – ance, both with parts pronounced unlike they are in the whole). I knew what the words meant, but that didn’t have anything to do with the spelling, did it? I learned to spell one word at a time, twenty or so words a week. I was pretty good at rote memorization. I also studied definitions right out of the dictionary. They didn’t always make sense to me, but because they didn’t, I didn’t know how to reword them. I found out when my children went to school that times haven’t changed much in this regard. One thing is for sure. He was smart enough to know that passing the test didn’t hinge on him actually understanding anything. I was sad, but remembered cheating my own learning in the same way as I went through schooling years. I didn’t cheat my learning to the extent my son did, but cheat it I did. Neither of us were taught to look to the word for meaning – we had learned that spelling and meaning were two separate activities and rote memorization was the only way to handle them in order to pass the test. Recently Oxford Dictionaries posted the ten most frequently misspelled words in their Oxford English Corpus (which they describe as “an electronic collection of over 2 billion words of real English that help us see how people are using the language and also shows us the mistakes that are most often made”) . Seeing as I spend a fair amount of my teaching life looking at misspelled words, I took a look, wondering if I could predict the words that made the list. As I was clicking, my mind was betting that the people who misspell these words (whichever they were), had an education like mine and have been taught to “sound out words” and not to even consider morphology or etymology as they relate to a word’s spelling. Once you begin to study orthography and use Structured Word Inquiry, it doesn’t take long to see how easily the above spelling errors could be avoided altogether. The people misspelling these words do not understand the spelling – have not been taught to understand the spelling. Let’s look closer at each of these. Along the way I’ll point out the information that would actually help a person understand and remember these spellings. Before we talk about spelling, it’s always important to talk about how the word is used. What does it mean? I could talk about the fact that my classroom can accommodate 30 students, meaning that the space is adequate to fit that many students. I could also use it if I was talking about accommodating the needs of a student who has a broken leg. In that sense, I am fitting the needs of the student by perhaps getting a different type of desk. 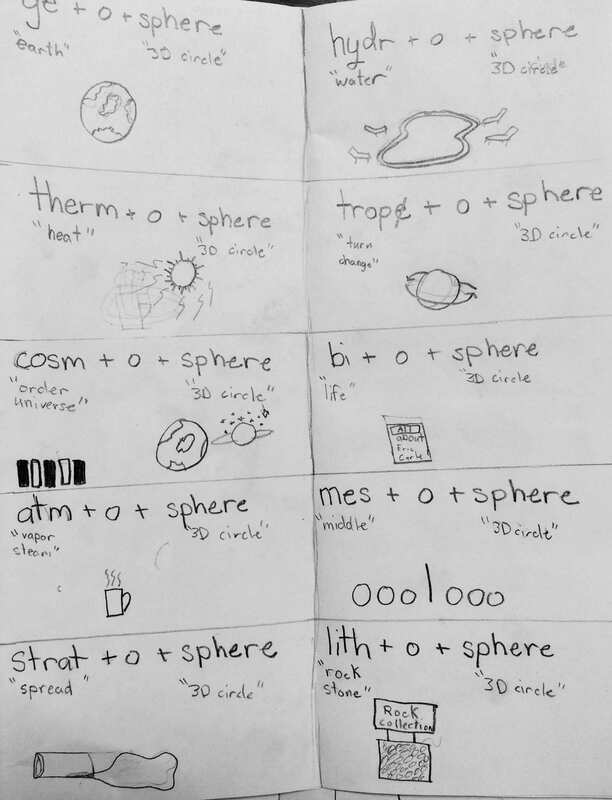 A person without any understanding of morphology might be wondering, “Is it two <c>’s and one <m>, or is it one <c> and two <m>’s?” That person might even write the word down on a piece of paper with several different spellings to see which one looks right. Here’s what you understand when you understand morphology. All words have structure. That structure will include a base element and perhaps affixes. A base element will either be free (doesn’t HAVE to have an affix) or bound (MUST have an affix). Let’s look at the structure of <accommodate>. This word consists of four morphemes: two are prefixes, one is a base, and one is a suffix. Its structure is <ac + com + mode/ + ate>. The first prefix is <ac->, and it is an assimilated form of the prefix <ad-> “to”. 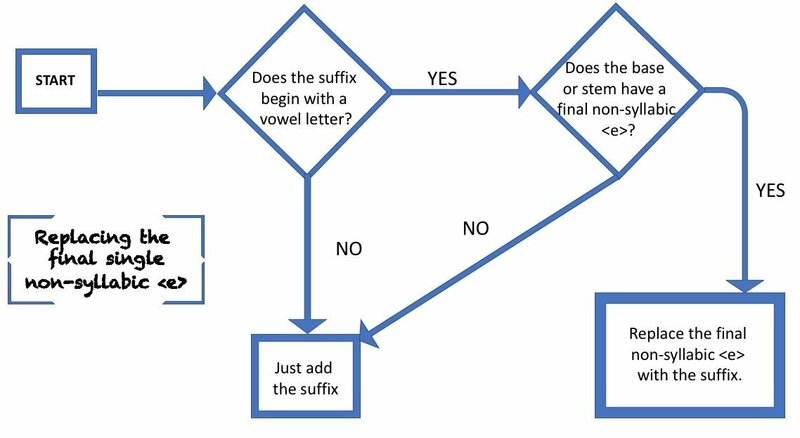 When a prefix is assimilated, it means that the final letter in the prefix might change to better fit phonologically with the first grapheme of the next morpheme in the word. In this case, the original form of the prefix is <ad-> “to”. 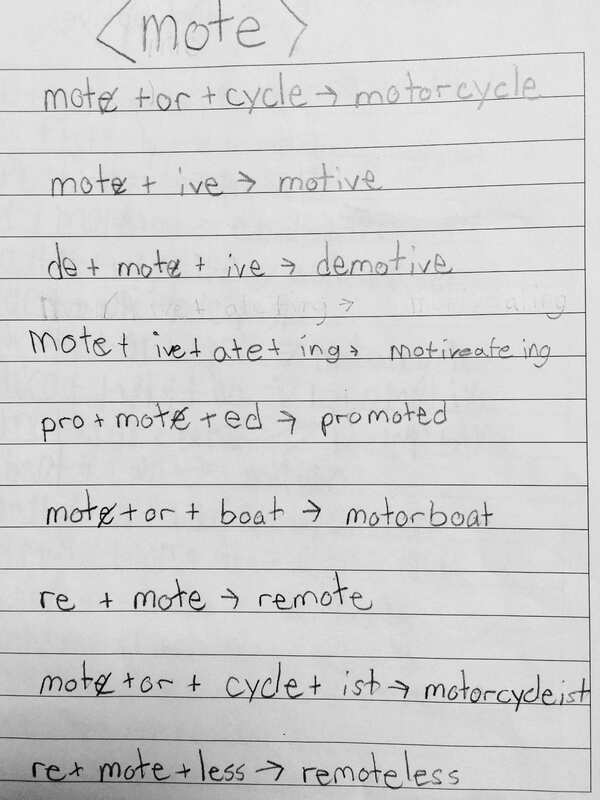 Seeing as the next morpheme begins with a <c>, the <ad-> assimilated to <ac-> to better match the phonology of that <c>. The second prefix is <com->, and it is an intensifying prefix. That means that it brings a sense of force or emphasis to this word. There are people who have learned this prefix and will tell you that it means “together”. Well, it does bring that sense to some words we find it in. But there are prefixes that can also be intensifiers, such as this one! modify, modular, accommodation, model, modest, and yes, even commode! The suffix is <-ate>. It is a verbal suffix. Let’s put the morphemes together and understand this spelling: <ac + com + mode/ +ate –> accommodate>. If you stop yourself from thinking of there being a double <c> and instead think of the prefix <ac> plus the prefix <com> plus the base <mode (replace the <e>)> plus <ate>, you will have spelled this word with very little problem. At the same time, you will understand that the denotation of this word is “to fit with emphasis”. Compare that denotation with a connotation (how the word is used now), and you will have the spelling AND the meaning, and understand both! It is interesting to note that the first <o>, which is stressed, has a different pronunciation than the second <o>, which is unstressed. This word is a free base. It has no affixes. To understand the spelling of this word, we need to look at its etymology. I have several sources I use when researching words. One of my favorites is Etymonline, but I also have copies of Chambers Dictionary of Etymology and John Ayto’s Dictionary of Word Origins. This word is Old English in origin. According to Etymonline, it was spelled both hwilc (West Saxon, Anglian)and hwælc (Northumbrian). (Notice that the <hw> is now <wh>). It is short for hwi-lic “of what form”. It is interesting to note that in early Middle English there were two other forms (hwelch and hwülch). They later lost their <l> and became hwech and hwüch. Both of those spellings disappeared in late Middle English. When you understand that the <h> has always been part of this word, and that in fact, it used to be the first letter, it is easier to remember that it is STILL part of this word. It is pretty obvious that those who misspelled this word used phonology alone. But its spelling takes us back to Old English and the important evidence that the <h> has always been part of this word. This word generally means to be given, presented with or be paid for something. I receive a pay check. I have received several awards. I received help from my neighbor. Now I’m willing to bet you are already thinking, “i before e except after c … blah, blah, blah”. I came across an article by The Washington Post recently. To read it, CLICK HERE. It seems a statistician named Nathan Cunningham plugged a list of 350,000 English words into a statistical program to check out this age old rule. He found that in words with a ‘ie’ or ‘ei’ sequence, <i> came before the <e> almost 75% of the time. So then he checked for the “except after ‘c’ part”. He found that in words with a ‘cie’ or ‘cei’ sequence, ‘cei’ occurred only 25% of the time. That leaves 75% of that group of words to be exceptions! So much for that rule! Yup! The rule with lots and lots of exceptions. And as any good researcher will tell you, if your rule has a lot of exceptions, you need a new rule! Besides wasting time memorizing a rule that you can’t count on statistically, there is another reason to abandon the “i before e” rule. It simply doesn’t take into consideration what else is important about a word – like its morphology and its etymology! Let’s get out of the land of ‘hit and miss’ and look at this word seriously. 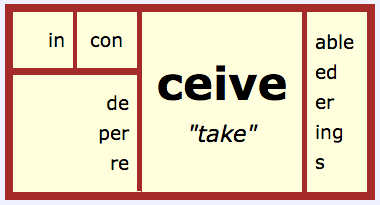 Based on other words I have investigated, I might make a hypothesis about this word’s structure like this: <re + ceive –> receive>. I know that in words such as recall, reclaim, and refill, <re> is a prefix. It could be a prefix in this word too, although I need specific evidence pertaining to this word to be sure. I need to look at where this word comes from – its etymology. ~transceiver (which is a relatively new word – 1938, created by combining transmitter and receiver). So what we learn from this word’s history is that its spelling has been fairly consistent since the 1300’s. No gimmicky rhymes needed. It is interesting to note that the final <e> is non-syllabic and is preventing this word from ending in a <v> (no complete English word ends in a <v>). This word means “up to (either an event or a point in time)”. If you say, “I will wait until you call,” it is functioning as a subordinating conjunction. If you say, “We swam until 5:00,” it is functioning as a preposition. This word is a free base in Modern English. It has no affixes. It might be tempting to identify the <un> as a prefix, but all you have to do is compare the etymology of the <un> in this word to that of the <un-> in words like unhappy and unzip. 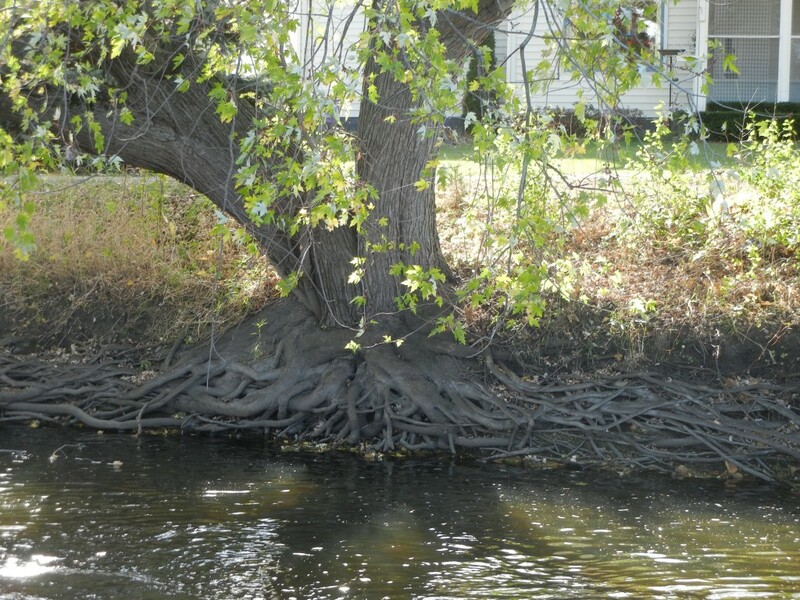 They do not share ancestors, nor do they share denotations. This word, as most, has an interesting story. 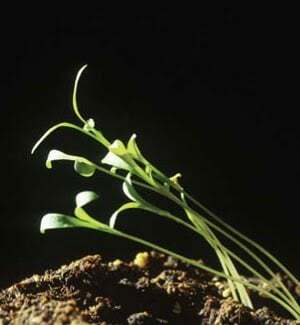 The verb ’till’ meaning “to cultivate the soil” was first attested in the 13th century. It is from Old English tilian “cultivate, tend, work at”. There is a thought that the idea of cultivating and having a purpose and goal may have passed into Old English with the word ’till’ meaning “fixed point”. It was then converted into a preposition meaning “up to a particular point”. ‘Until’ was first attested in the 13th century. The first element <un> is from Old Norse *und “as far as, up to”. (The asterisk next to the Old Norse spelling means it is reconstructed.) So when we put the two parts of this word together, we get <un + til –> until> “up to a particular point”. The use of ’til’ is short for ‘until’. It isn’t about “one ‘l’ or two”. It’s about the word’s story. If something has occurred, it has happened. It could be an event or even a thought. Someone who is misspelling this word, doesn’t understand its morphology. That would include how suffixing conventions are applied. The structure of this word is <oc + cur + ed –> occurred>. Notice that the final <r> on the base was forced to double when the vowel suffix <-ed> was added. This happened because of the position of the stress in this word. The stress is on the second syllable – the one closest to the suffix. This word was borrowed from Latin occurrere “run towards, run to meet”. The prefix <oc-> is an assimilated form of the prefix <ob-> bringing a sense of “towards”. 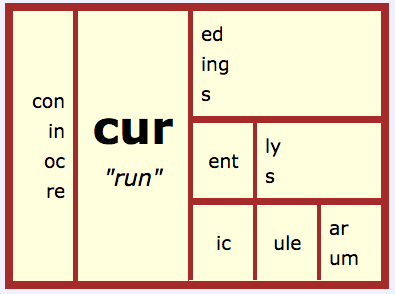 The base is <cur> “run “. This base is seen in present day words including curriculum, current, recur and concur. It is interesting to note that the initial <o> is unstressed and that affects its pronunciation. This word generally means to divide or cause to be apart. I might separate old coins from new coins. Growing up I remember this word being one that I could never get right. The reason I misspelled it time after time is because all I had was its pronunciation to work with. Had I known its morphology and etymology, I would have had a better chance of remembering its spelling. 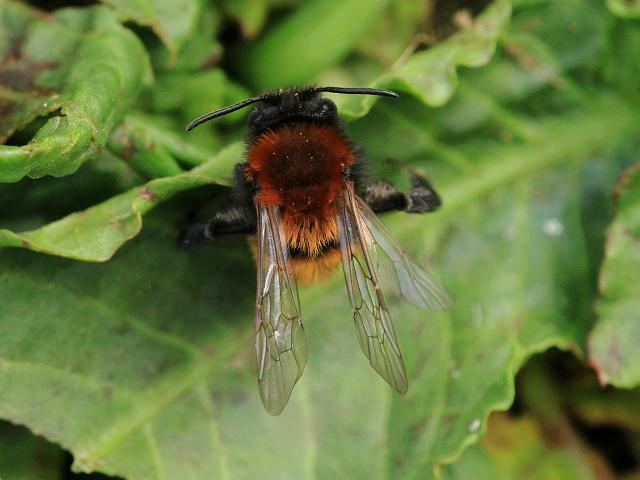 First, let’s look at its morphology. 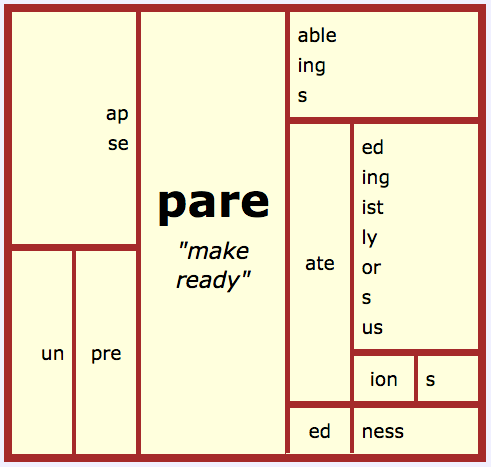 The structure of this word is <se + pare/ + ate –> separate>. ~pare (This is a free base that means to “trim or cut close”. Again we see the denotation of “make ready” in the image of this word’s action. It is interesting to note that the <a> is not typically pronounced in this word. The final <e>, which is the final letter in the <ate> suffix, is non-syllabic. That means it is not pronounced either. A government is a way to regulate or control members or citizens of a particular region (state or country) or of an organization. In the United States, we have a federal government with different branches that creates laws for the entire country, and we also have state governments making decisions for each of the fifty states. Why does this word get misspelled? Again, it is because of the way it is pronounced. So let’s look at this word’s morphology and phonology as we have with every other word so far. 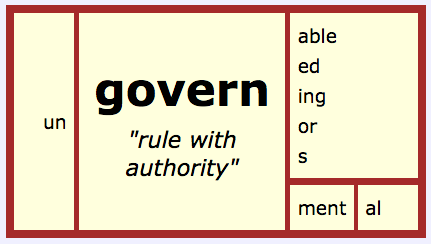 The structure of this word is <govern + ment –> government>. People who leave out the <n> in this word, don’t think about the word’s structure. The base shares its spelling with all words in its word family. See the matrix below. The base element <govern> was first attested in the late 13th century, and at that time it meant “rule with authority”. It is from Old French governer which meant “steer, be at the helm of, rule, command”. It is interesting to note that the <n> is not typically pronounced. This is evidence that it is important to have knowledge of a word’s morphology and etymology when trying to understand its spelling! When used, this word is intended to remove all doubt. I will definitely watch your dog this weekend. The structure of this word is <de + fine/ + ite + ly –> definitely>. 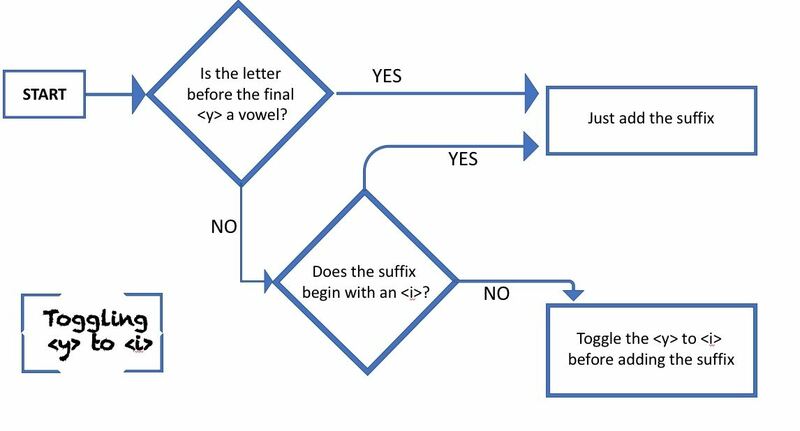 The single final non-syllabic <e> is replaced by the <-ite> suffix in the final spelling. The suffix <ite> is adjectival, but the addition of the suffix <ly> makes this word adverbial. This word is from Old French definir, defenir “to finish, conclude, come to an end, determine with precision”. Before that it came directly from Latin definire “to limit, determine, explain”. 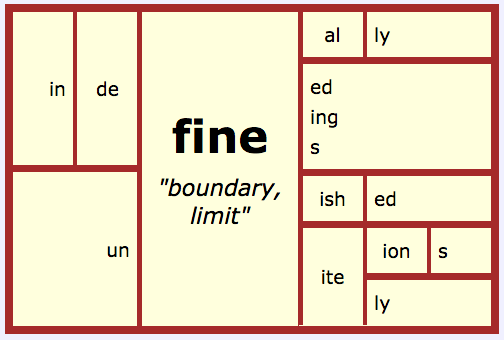 The prefix <de-> brings a sense of “completely” and the base <fine> has a denotation of “to bound, limit”. It is interesting to note that both <i>’s are unstressed which affects their pronunciation. The final <e> on the suffix <-ite> is predictably unpronounced. The final <y> on the <ly> suffix also has a predictable pronunciation. A pharaoh is an ancient Egyptian ruler. This is a free base with no affixes. This word has an interesting trail to follow. It was first attested in Old English as Pharon. Earlier it was from Latin Pharaonem. Earlier yet it was from Greek Pharao. Even earlier it was from Hebrew Par’oh. 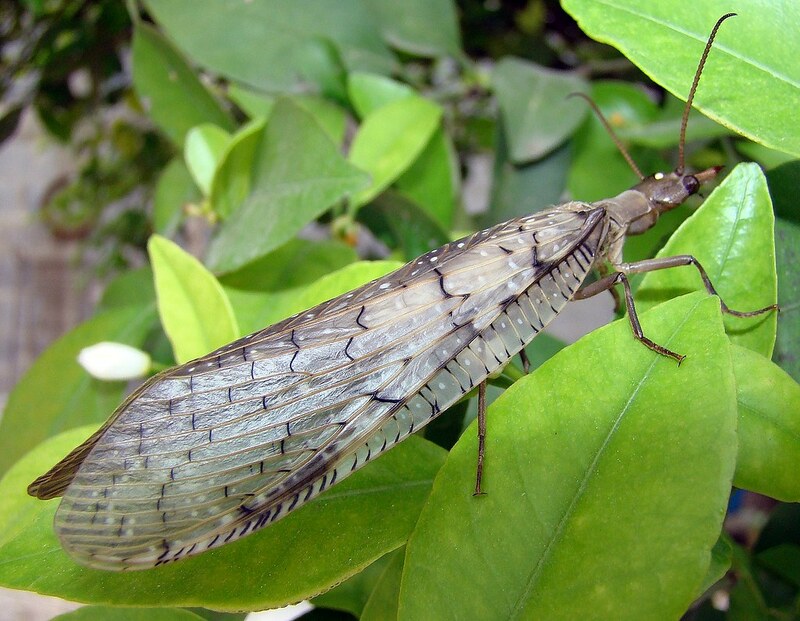 But its origins are in understandably Egyptian Pero’ where it meant “great house”. Note that the spelling sequence of ‘pharao’ was present in Greek and in Latin. 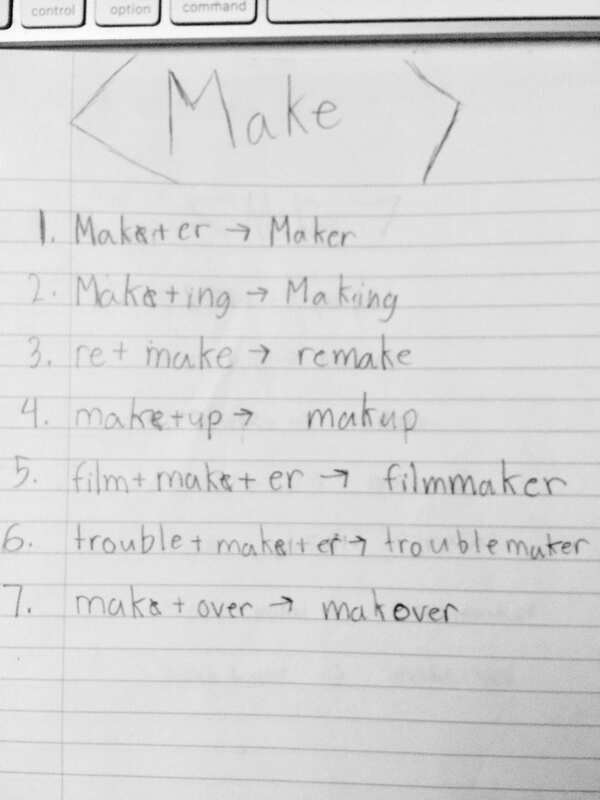 That is the spelling sequence we currently see. Once again the spelling represents where the word came from and what it means, not how it is pronounced! It is interesting to note that the <ph> represents /f/. This is a signal that this word has a Greek heritage. When something is done publicly, it is done for all to see. 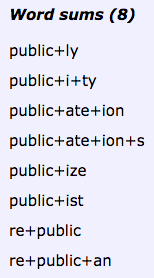 The structure of this word is simply <public + ly>. The <ly> suffix can be an adverbial one. The misspelling listed shows a misidentification of structure. There are many words that actually HAVE that structure, including basically, magically, comically, and tropically. This brings us to an important point! Just because two things are pronounced the same, it doesn’t mean they are spelled the same. It doesn’t take much time or effort to check with a reference book! 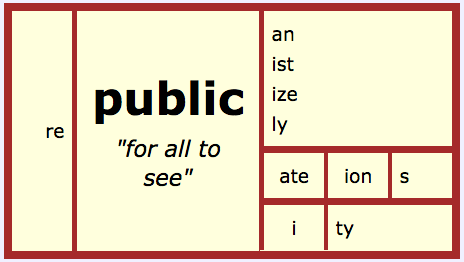 The word ‘public’ was first attested in the last 14th century. Earlier it was used in Old French public. It comes directly from Latin publicus “of the people, of the state, common, general”. The meaning of “open to all in the community” is from 1540’s English. It is interesting to note the predictable pronunciation of the final <y> of the <-ly> suffix. Think about the words on this misspelled list. Everyone of them has a spelling that can be explained by looking at the word’s morphology, etymology , and its phonology. 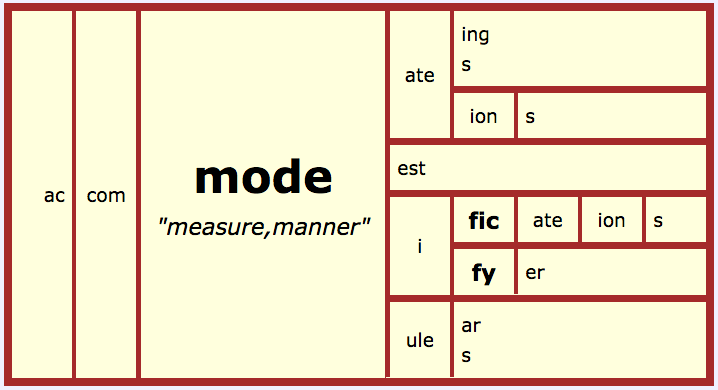 I’ll say it again … by looking at the word’s morphology, etymology, and its phonology. Teaching all three is so powerful. It’s time for schools to change the way they teach children about words and spelling! Phonology is just ONE ASPECT of a word. When it is seen as THE ONLY THING (as it is in most every classroom), students are cheated out of the opportunity to understand a word’s story. And understanding a word’s story is often the thing that connects a word’s meaning to its spelling. Understanding a word’s meaning leads to understanding the word in context, which in turn increases reading comprehension. How could it not? 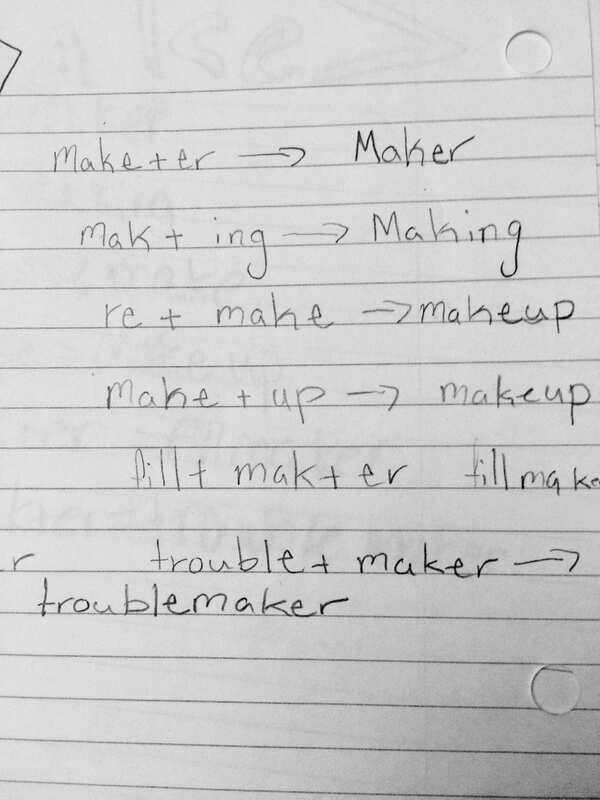 Teaching spelling and reading via phonology alone makes spelling a giant guessing game. For example, there are a number of graphemes that can represent the phoneme /iː/. I can think of <ea>, <ee>, <y>, and <ei> off hand. There are no doubt more. A student faced with memorizing which grapheme to use in which word based on pronunciation alone is clueless – literally! 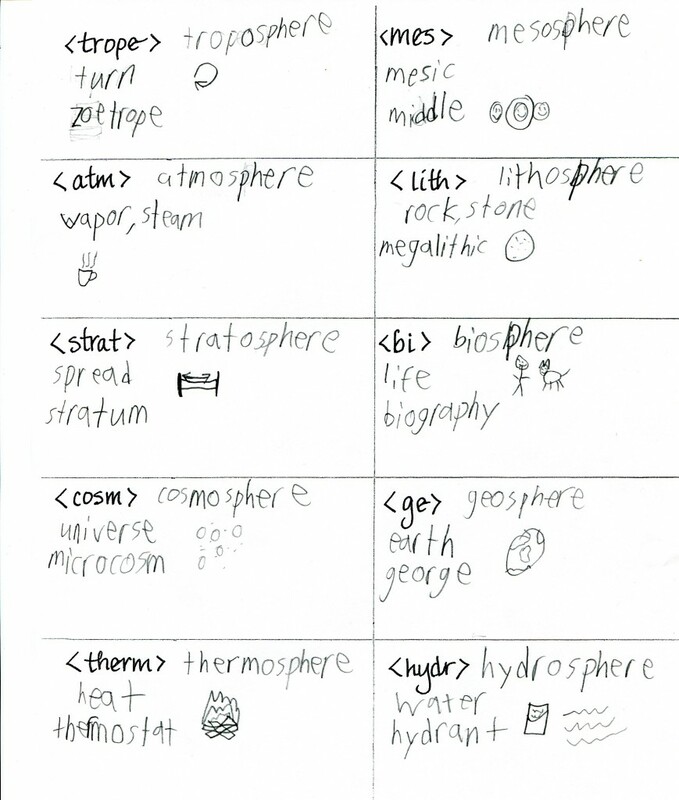 That student NEEDS the clues that morphology and etymology provide. Why not teach a student where to find the information needed in order to make informed decisions about a word’s spelling? Another huge disadvantage of teaching as if spelling represented only pronunciation is that our students never see for themselves how words are connected to one another. They miss realizing that each word is a member of a larger family. The family is full of words that all share a common base with a common ancestry and a common denotation. 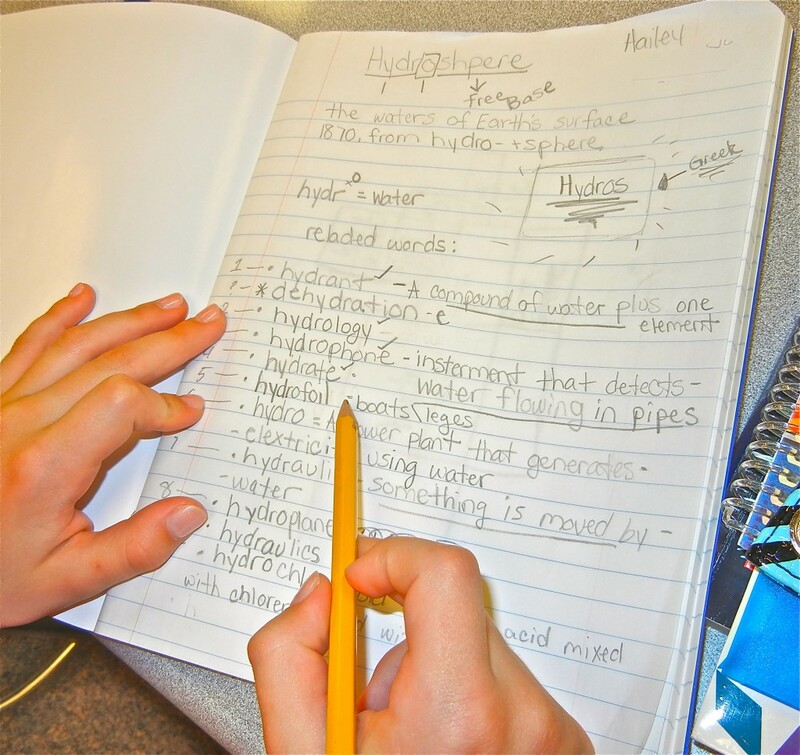 Why are words like busy, business, and businesses found on different spelling lists? 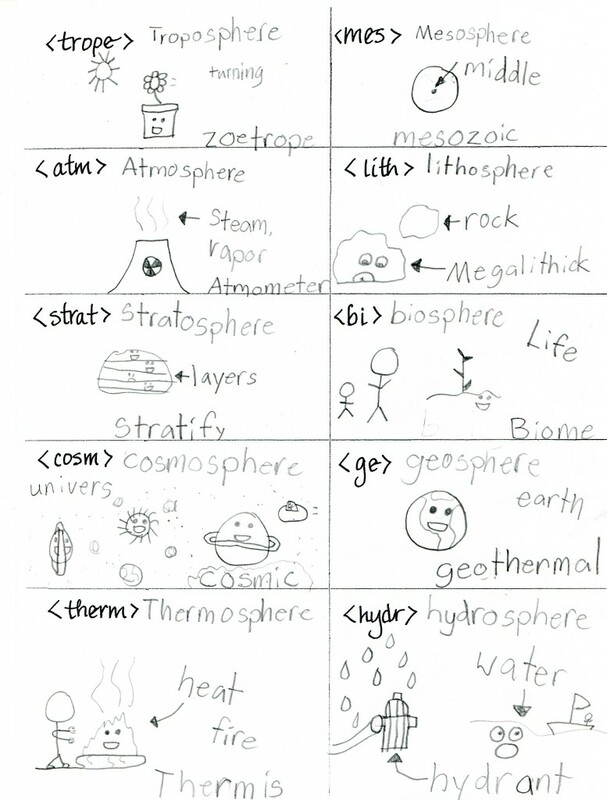 Why not present them together so a student can see they are part of the same word family? Or present them together so the students can internalize an understanding of the suffixing conventions that can happen within a family of words. The matrices I have created above do just that. They help us see connections among words that we have not been taught to see before now. Let’s go back to the list of commonly misspelled words. Oxford Dictionaries only gave us their top ten, but I’m willing to bet there are hundreds and hundreds of such words in their Oxford English Corpus. I say, let’s raise the bar for our students. Let’s give them engaging word work that supplies them with resources for all the clues they need in order to understand a word’s spelling. What schools have been teaching students during reading and spelling instruction — phonology alone — has not worked for the vast majority of students. If it had, we would not see the spelling errors we do. We would not hear adults blaming the English language when they misspell a word or misunderstand a paragraph. We would not hear parents claim, “I was a terrible speller too” at parent-teacher conferences, as if not having been taught to understand our language is a trait one inherits much like height or hair color. 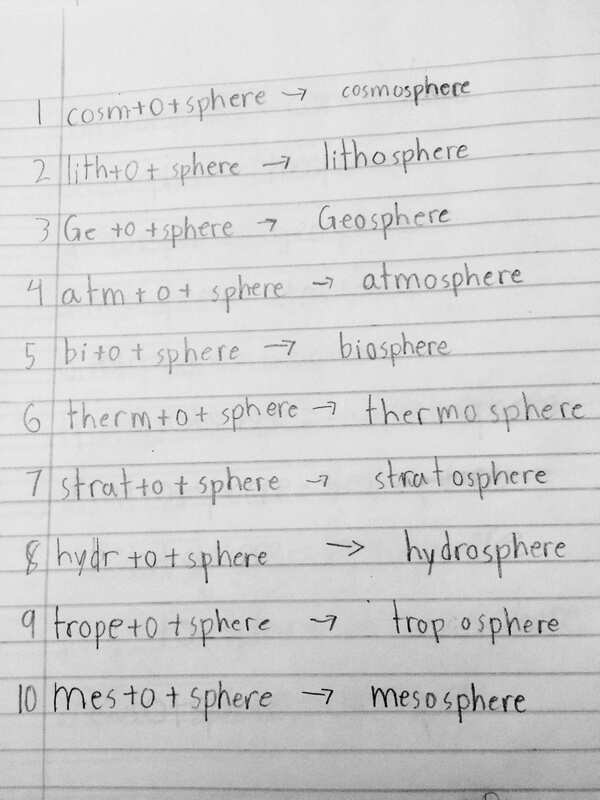 Write the base as a compound word with <sphere> as its second base. Quickly draw something that came to mind when thinking of the base’s denotation. 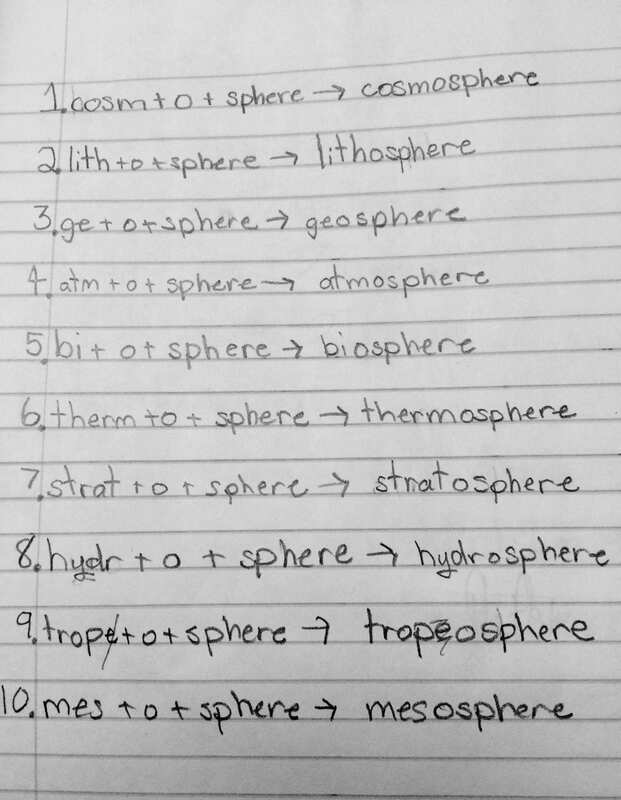 Write at least one other word that shared the base. They panicked about the 60 seconds at first, but when the 60 seconds were over, they realized it was plenty of time to do what was asked. I chose 60 seconds so that they would draw the first thing that popped into their head. I did not want them to think too hard about the perfect thing to draw. 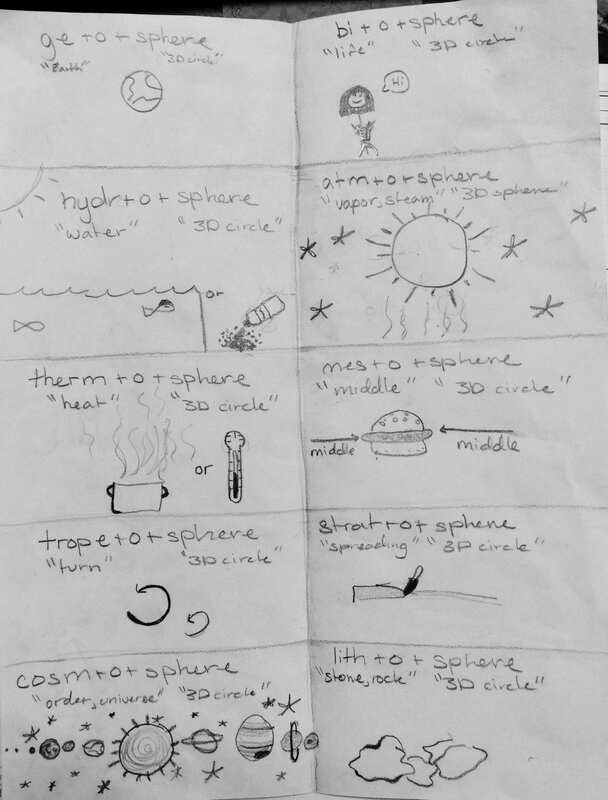 I had them draw because many students will be able to remember the image of the denotation more quickly than the denotation by itself. After we finished the tenth base, it was time to review and share. Volunteers read aloud each compound word, pausing slightly between morphemes. It was so obvious that they understood that all of these words shared a structure. 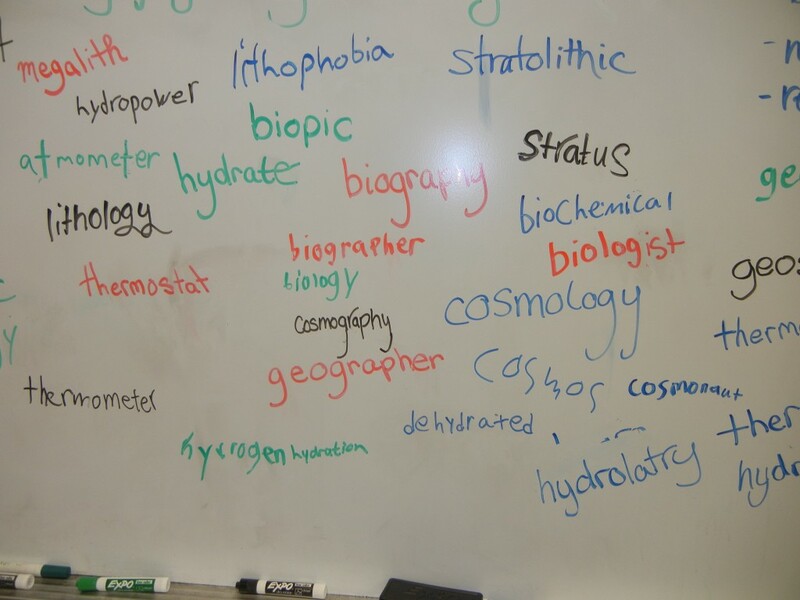 Students who would have balked at spelling these words several weeks ago, now confidently spelled them. Their understanding of morphemes and the meanings they contribute to a finished word has been growing! When I asked for the words they thought of that shared the first base, things got interesting! The white board quickly filled up. I had to start making a list of words that I wasn’t familiar with. 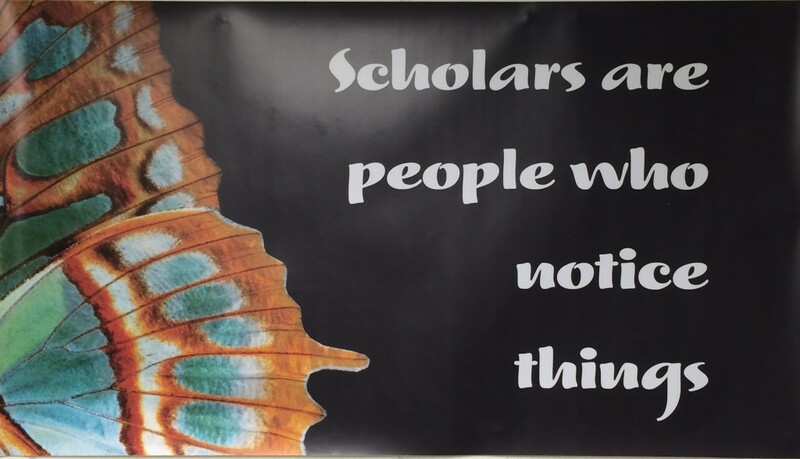 “After all,” I said to my students, “just because I haven’t heard the word doesn’t mean it isn’t in use somewhere!” The thing is, all of the words they suggested looked and sounded convincing. In other words, structurally they all worked! I am thrilled that these students could put together such an interesting collection so quickly! I am also thrilled that they are playing with what they understand about the structure of words! But I also know that structure is only half of it. 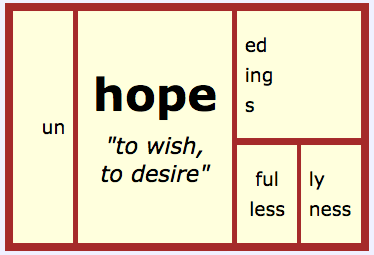 A word’s meaning is always echoing, even if faintly, the denotation of the base. If the word is structurally sound and if the denotation of the base/bases is represented in the definition, then we have to see how the word is used by people. Ultimately, that will decide how productive the word is. I replied, “I love it! I have no idea whether that is a word we’ll find anywhere else or not, but I will look for it!” I put it on my list to verify. 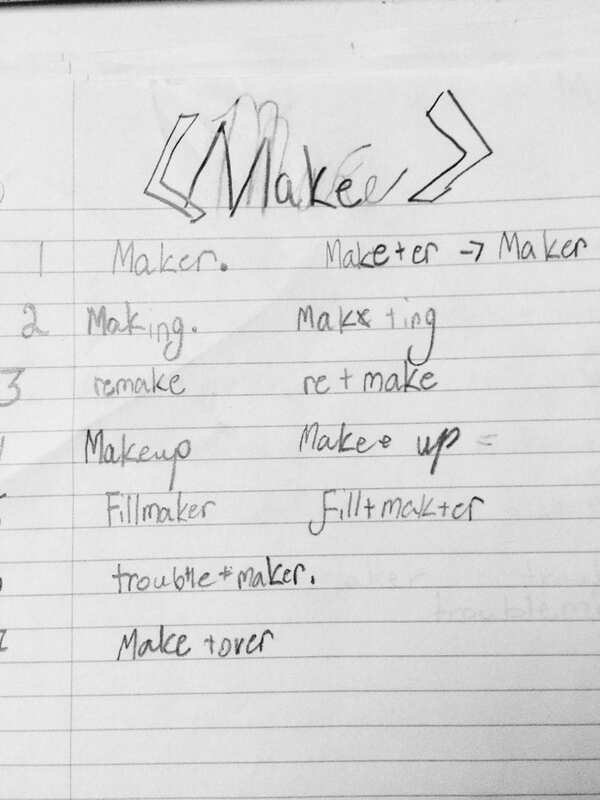 I was pretty sure my student invented it, but I was open to whatever I would find. 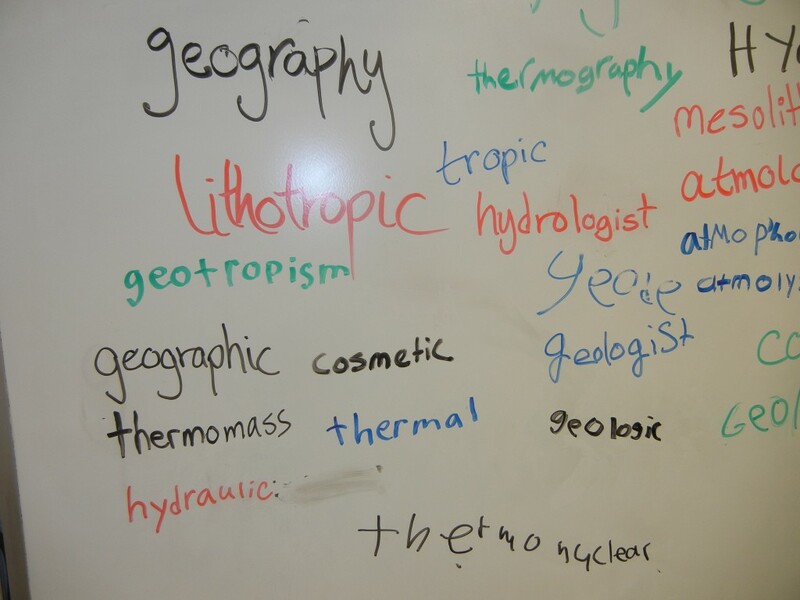 Some other words I had on my list were mesographic, mesothermal, geolithic, and geotherapy. At this point it would be good to mention the TED video I showed my students last week. Erin McKean is a lexicographer. She writes dictionaries. In this video she encourages her viewers to make up new words and she suggests several ways to do just that. 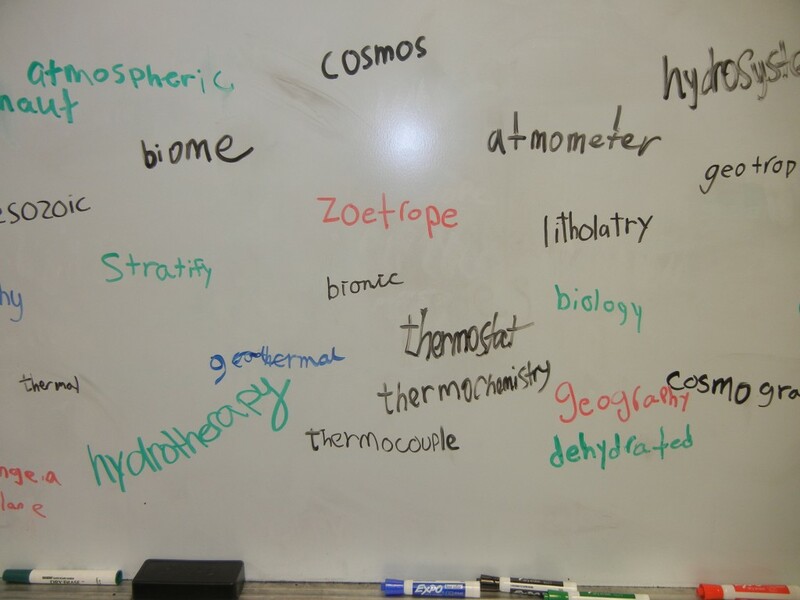 As you might guess, my students were ready to invent new words, and between yesterday and today they did just that without really planning to! They were delighted! Today I was prepared to talk about the words on my list plus quite a few of the other words that had been on the board yesterday. 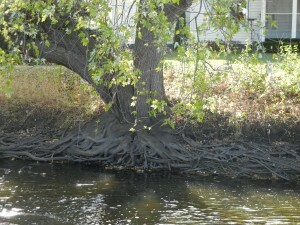 When I first heard it, I wondered if it wasn’t some sort of mud bath for humans. Well, I did find it used in that way, but I also found that it could refer to humans correcting a situation within an environment. 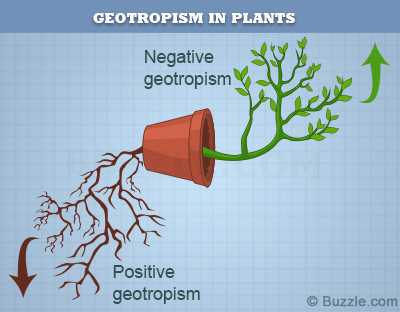 Geotherapy is the process of remineralizing the soil in an ecosystem that has suffered a loss. It is definitely an established word. While this one sounds impressive as a science word, I could find no evidence of it being currently used, and when different groups of students were asked what it might mean, there was only a shrugging of shoulders and the words, “Earth rock?” We decided it was not currently in use, and we weren’t sure that it had a place in our science conversations. Mesothermal refers to the climate in temperate zones where it is moderately hot and not cold enough for snow to stick to the ground. We all smiled as we recognized how the denotation of each base gave us a clue to what this word meant! Another impressive sounding word with an understandable structure, but without a recognized use according to our dictionaries and Google! The students couldn’t decide precisely how this word would be used, so we appreciated it, and moved on. When we googled images of the hydrangea, students recognized this flower. It can be white, blue, pink, or even purple. But what is its connection to water? Why the <hydr> spelling? At Etymonline we see that the word <hydrangea> means “water vessel” or “water capsule”. It is so named because the seed pod is cup-shaped! Such an interesting detail! We had been talking about this word on and off for a week, but I still wasn’t sure the students understood how it involved water. We watched the following video which really helped. We imagined the syringes with the colored water as they would look on a large machine, covered in metal and moving specific parts. Such is a classroom where learning orthography is a way of learning about the world. What I thought would be a quick 15 minute review of the Greek bases we have been looking at, turned into something more, something fascinating, something satisfying! Almost all of the students have presented the Latin verb poster they put together. We have had wonderful and rich discussions with each one. 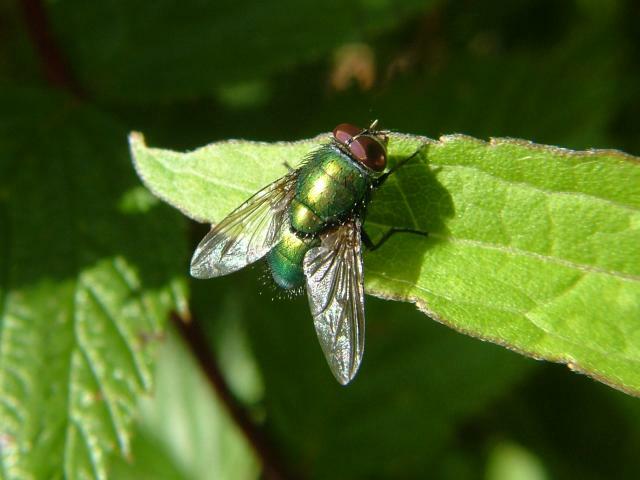 And as we talked we noticed that not all Latin etymons became productive modern English bases. 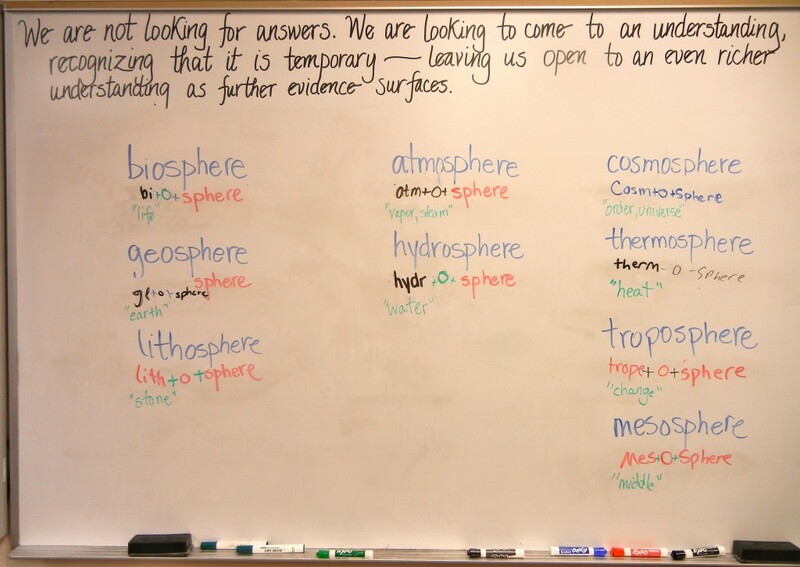 Some of the bases we identified are found in a remarkable number of words while others are found in only a few. 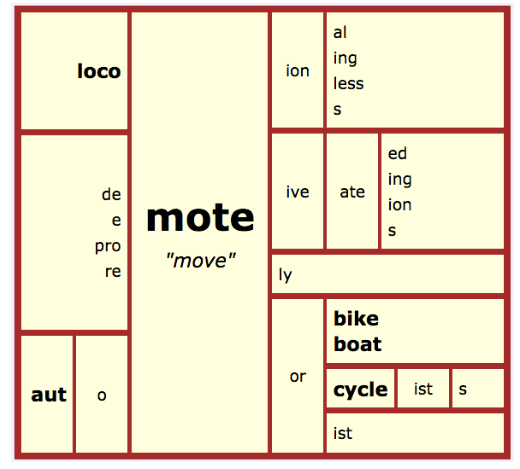 For example, the twin bases <mote> and <move> are two that have become very productive in English. 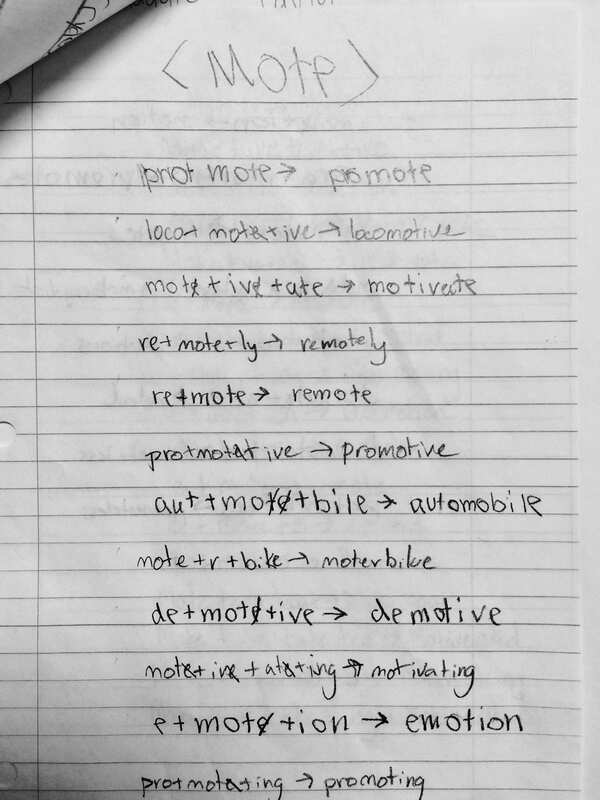 My students can easily name words like remote, demote, promote, motion, emotion, motor, motel, movement, remove, moving, removal, movable and immovable. That is certainly not a complete list, but it does demonstrate how common these two bases are. Some of the Latin etymons became modern English bases that have not become very productive. Take the Latin verb frango, frangere, frego, and fractus for example. By removing the Latin suffixes on the infinitive and supine forms of this verb, we get the Latin etymons <frang> and <fract>. The modern English bases that are derived from those etymons are spelled exactly the same! You will no doubt recognize the following group of words with <fract> as the base: fraction, fracture, fractal, refractive, diffraction, and infraction. But the only words my students found that share the <frang> base are frangible and refrangible. See what I mean? 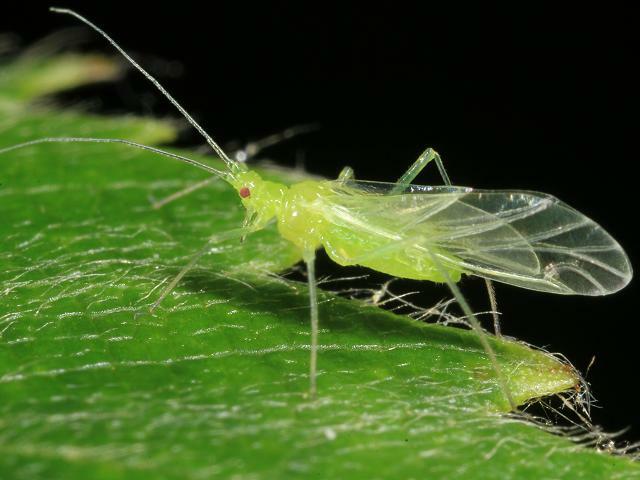 In English <frang> has not become a very productive base. 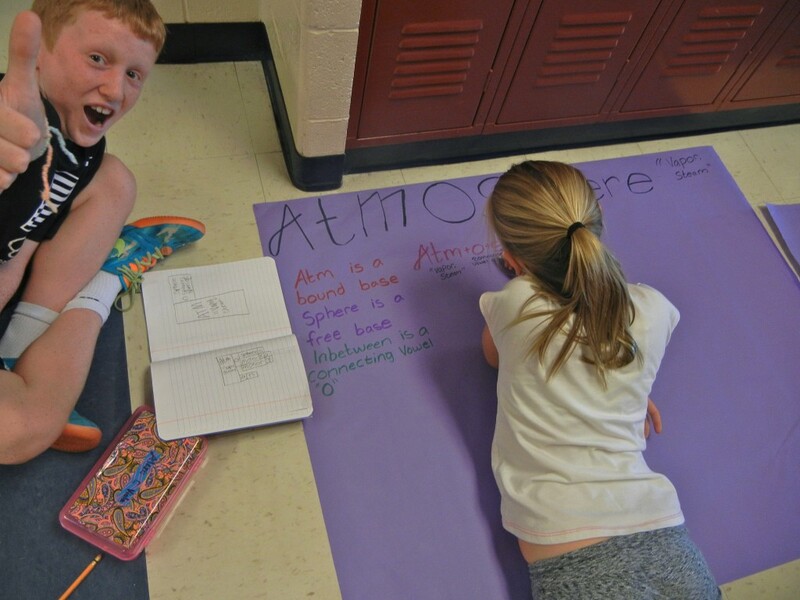 Since we have lined our hallway with Latin Verb posters, all we had to do was take a walk in order to identify those very productive modern bases! We chose ten. Some are twin bases and some are unitary. We have decided to spend time looking at the words in these ten families and seeing what else we can notice. We began with the bases <lege> and <lect>. The denotation of these twin bases is “to gather, select, read”. I asked the students to get out a piece of lined paper. I read some words from this family and asked them to do two things. They were to write the word and they they were to write the word sum, keeping in mind that the base would either be <lege> or <lect>. Some of the words they wrote down were lecture, select, lectern, collection, election, legion, legible and legibly. The next step was for the students to come to the board and write the word and word sum up there so we could look at it and talk about it. One of the first things I noticed was that someone wrote the word sum for <lectern> as <lect> + <urn>. I wonder if that is a result of misguided practice in which students have been asked to search for a word within a word. If this word was split into syllables, it might just be seen as ‘lec – turn’. Anyway, I adjusted the suffix to read <ern>. 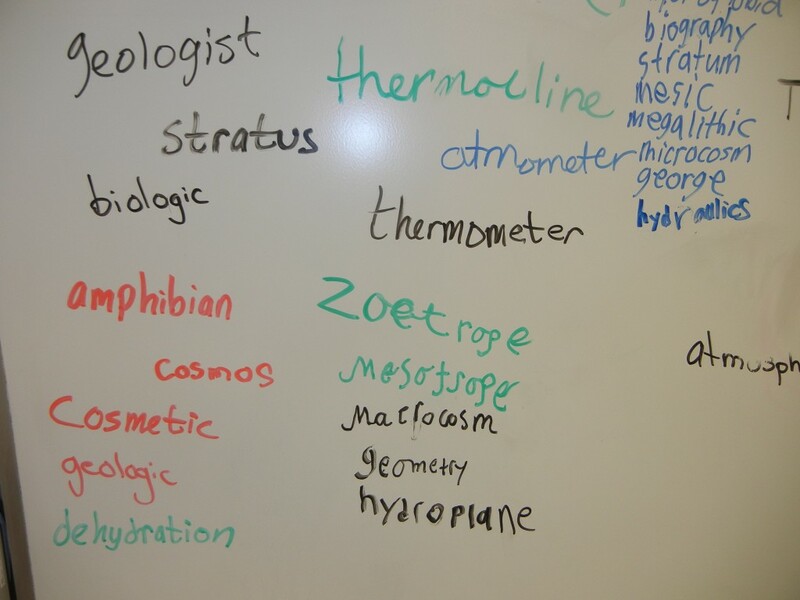 Then the students helped me list words with that suffix. I got them started with lantern and cavern. They added eastern, western, govern and modern. Even though most knew that the suffix in <lecture> was <-ure>, we still brainstormed other words that use that suffix like treasure, pleasure, measure, nature and capture. A third interesting thing to discuss was the way most students used an <-able> suffix in <legible> instead of an <-ible> suffix. One certainly can’t choose which to use based on pronunciation! I asked for <-able>/<-ible> to be written on the Wonder Wall. I have more information in a Smartboard presentation and will show it next week. The most important thing of all, though, was how the students felt when they saw that they could spell these words when they concentrated on the morphemes. They didn’t have to struggle with thinking about all the letters at once! Instead they focused on each morpheme as it came and the spelling fell into place! 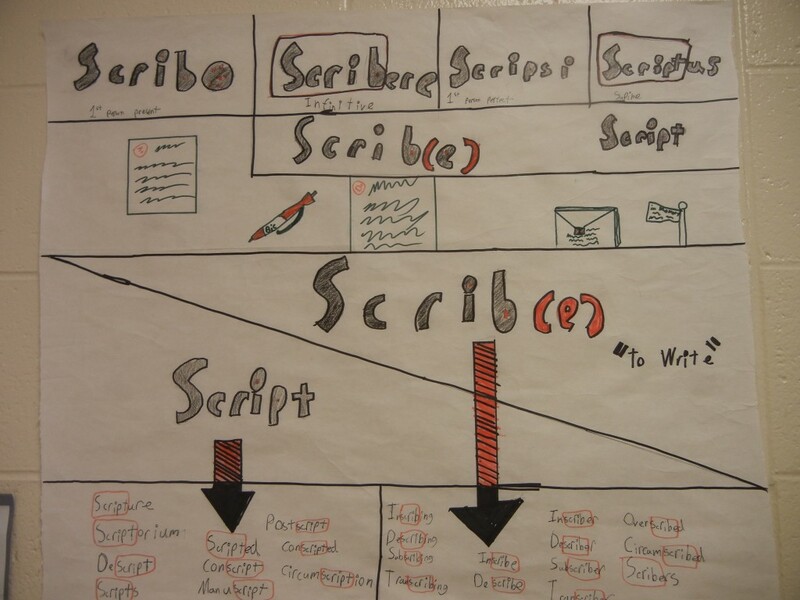 Yesterday when the students walked in the door, I had <scribe / script> on the board with its denotation “to write”. I didn’t even have to ask them to get out paper. They sat down and quickly pulled out paper and pencil. I read words like describe, subscription, prescriptive, scribble, scripture, subscribe, and scriptorium. More students volunteered to write their word sums on the board than had volunteered yesterday! They were enjoying seeing what they could figure out. With this collection, we had the opportunity to talk about the way the <t> (final in the base <script>) represented a different sound in <prescriptive>, <subscription>, and <scripture>. I’m sure that in their minds (until yesterday) the letter <t> represented only one sound – /t/. When I saw that a boy in the front row had spelled <subscription> as ‘subscripshen’, I said out loud, “Wouldn’t it make sense for someone who has been told to sound out words when spelling to use an <sh> in <subscription>? But look what is really happening. The pronunciation of the letter <t> can be altered by the first letter of the suffix.” We all said the three words so that we could feel the difference in pronunciation. We talked about how some people pronounce <scripture> as if there is a <ch> following the <p> and some people pronounce it as if there is a <sh> following the <p>. Another great opportunity to prove to the students that spelling is not about pronunciation. It is about meaning! An additional highlight with these particular twin bases (besides the students smiling at their increased level of successful today!) was the word sum for <scriptorium> that someone had written on the board. It was written as <scriptorium> –> <script> + <or> + <i> + <um>. 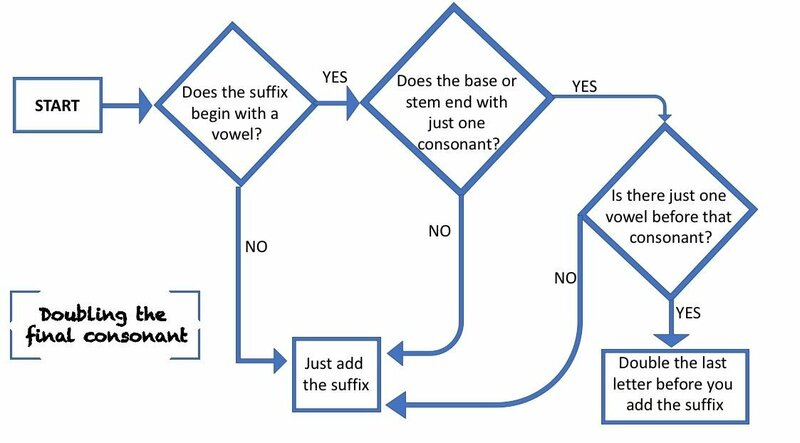 I wasn’t so sure about there being a connecting vowel between two suffixes, and when I mentioned that, the students thought that made sense. 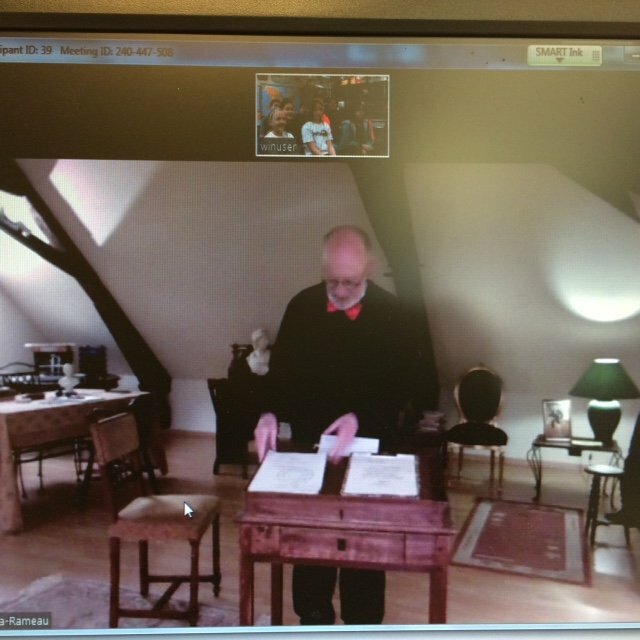 But instead of leaving it at that, we scheduled a Zoom session with our favorite French friend, Old Grouch! He helped us understand the Latin stem suffix <-i>, the Latin suffix <-um> and the present day English suffix <-ium>! He showed us his own scriptorium and the students decided that a person who does the writing would be called a scriptor. This recognition also lead to a discussion of agent suffixes (those that indicate the noun is a person). That discussion led to a review of using the agent suffix <-or> instead of <-er> if the base can take an <-ion> suffix. The examples Old Grouch used was profession/professor and action/actor. Later, the students added animation/animator, instruction/instructor, and division/divisor! My personal favorite is one that I noticed at an airport I visited in November. The pair is recombulation/recombobulator! If I was in the recombobulation area after going through security, and I was getting all of my things back in order, then I was a recombobulator! We are so grateful to be able to ask Old Grouch questions. We always walk away smiling, and with a head full of interesting information to ponder! 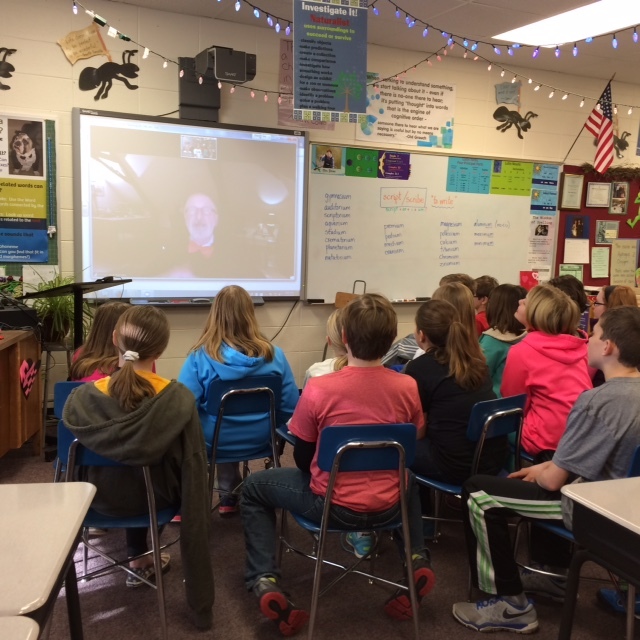 Knowing that we began our Zoom session at 8:20 a.m. and knowing that it was 3:20p.m. where Old Grouch lives, one of the students asked if he had a nice siesta. When he was remarking that he had, he also asked if we knew the word <siesta>. We did not. He explained that it is from Spanish for six. Siesta is held six hours after daybreak! Like I said, we always walk away smiling, and with something interesting to ponder! I live in a small village where it’s not at all unusual to run into my students outside of school. In fact, I like when it happens! It was just this past Monday that I walked downtown to run an errand. On my way back home I stopped on the bridge to watch the creek. A boy on a bike stopped alongside me. I caught the big smile of recognition on his face just before he spoke. Sam was as happy to run into me as I was to run into him! I couldn’t keep the smile from forming. Sam proceeded to share his curiosities about the product known as ‘Orajel’. Since it is primarily used in and around the mouth, he thought <ora> might mean teeth. I was impressed that he was obviously looking at the word’s structure and thinking about meaning! We talked a bit about how companies, when naming new products, sometimes create product names by combining two or more words. In this case, perhaps the two words are <oral> and <gel>. The word <oral> has to do with the mouth, so this hypothesis makes sense. After a bit more discussing, I couldn’t help but wonder what Logan was going to ask about. It seems that Logan has been thinking about <able>. He knows it can be a free base, but he has also noticed it used as a suffix. Sam and I talked as we walked in the direction of his house. At the end of the next block, he got on his bike and zipped off so he wouldn’t be late getting home. And the beat goes on…. THIS is what studying orthography does to a person! My students and I now possess a curiosity about words that enriches what we read, what we write, and what we spend our time thinking about! 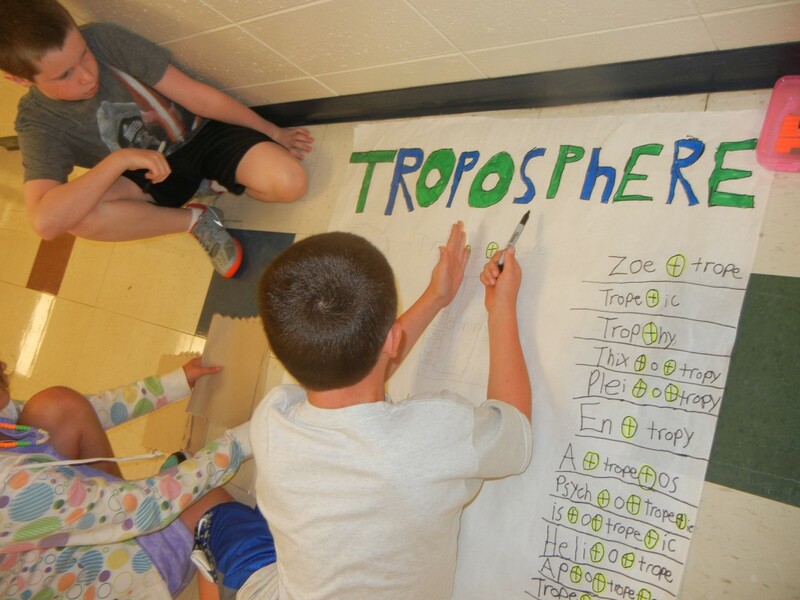 Imagine how wonderful it feels to have these impromptu word discussions outside of the school year. The great news is that this is the fourth such discussion I’ve had this summer with various students! In the 19 years I’ve been teaching and living here, I never once had a student stop me in the middle of summer to talk to me about <i> before <e>, syllables, or even phonics. Wonder why? Blech! That’s why! I want to savor what’s left of my summer, but I have to say that I’m starting to look forward to the new school year and a new group of fifth graders. And the beat goes on….